Hi Everyone, Today, I have another scrapbook page to share with you! My son took one of his good friends to her prom a couple of years ago and I just love this picture of the two of them so I wanted to scrap it. I used several stamps from The Rubber Cafe' to create this page. The main panel is patterned paper, that I trimmed down and placed on a pale light pink 12 x 12 piece of cardstock. 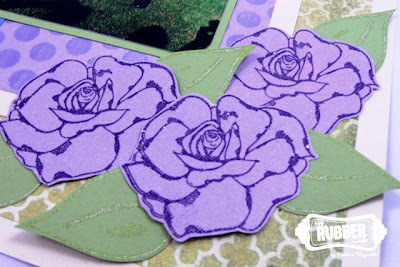 I stamped Fleuradidy 1 on the upper left corner of an 8 x 8 panel with Shaded Lilac Distress Ink by Ranger. 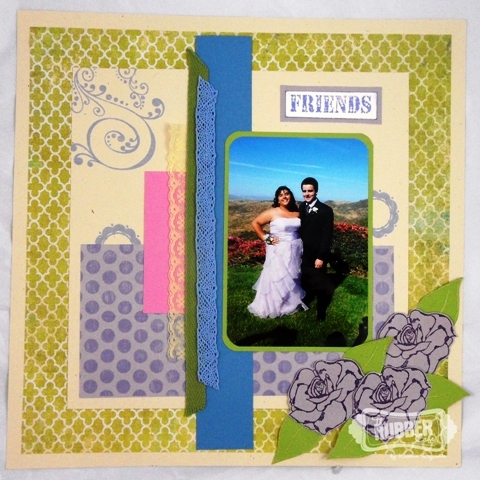 The Friends sentiment is from Pictures Framed, and the scalloped circle image is from Remember the Moments. Next, I stamped the Roses from Rose Garden with VersaMark ink and heat embossed with Aged Wine Embossing Powder. The leaves were heat embossed with Citron Opaque embossing powder. The Polka Dot panel was created by stamping the polka dot panel from Background Basics 2 on a lavender panel with Shaded Lilac Distress ink. I finished it off with Ribbons and lace! Stamps are a fabulous way to create textures and patterns on your pages and The Rubber Cafe has a terrific selection of stamps that are perfect for all your scrapbooking needs. Nice! 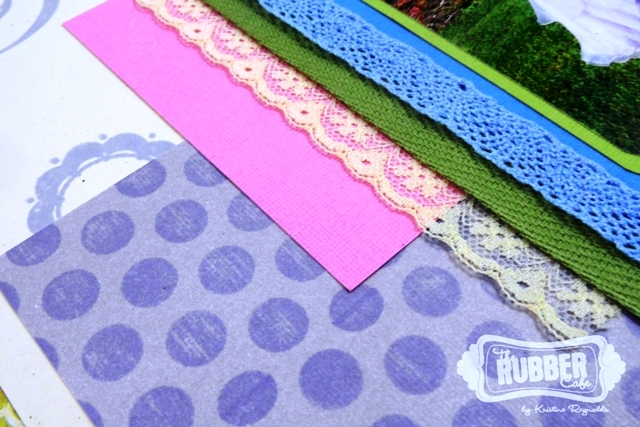 Those flowers made really pretty scrapbooking elements.